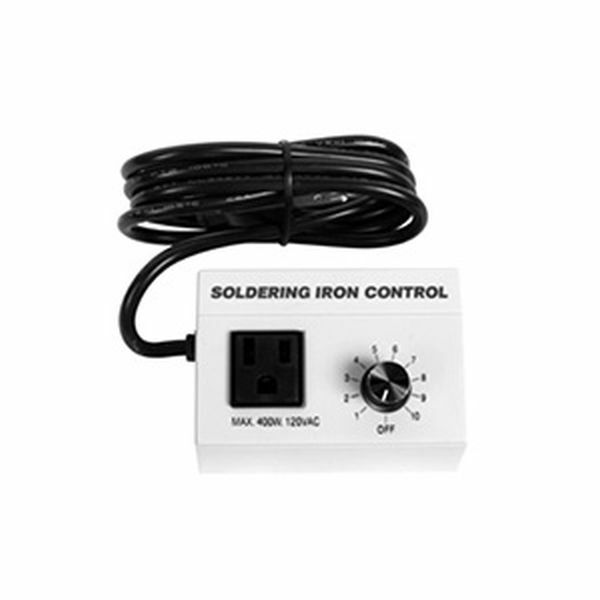 Will control the watts generated from any 120 volt tool up to 400 total watts. We recommend using this controller with our 99 5-in-1 Tool Kit - see related items below. Also used with the electric burn-in knife (S-80) to regulate the heat of the blade as not to scorch or burn surface surrounding the repair. Also works with the electric oven. Eliminates the worry of an overheated knife.